Since my teenage years, I have tested loads of self-tan products let me tell ya ;-) From expensive ones like Clarins to cheap ones like L'Oréal. Before testing the Bronze Godess Self-Tan, I had 1 favorite : the Clarins self-tan spray. Now, I have another one: the Estée Lauder Bronze Godess Self-Tan. It doesn't only come in spray form, but I prefer spray-forms to cremes. It's said that the Bronze Goddess range is the replacement for the Tom Ford Azurée Soleil (note : same company ;-) ) when they stopped producing this very popular range there were loads of request from fans. Estée Lauder was smart enough to reproduce the range under there name ! 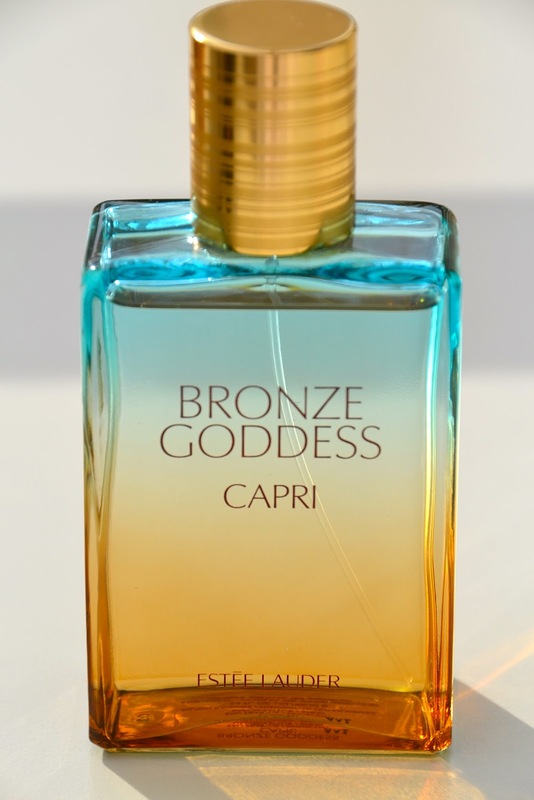 The Bronze Godess self-tan leaves you with a nice bronze glow the next day. It's not an extreme bronze tan, but more like a -I-went-to-the-the-beach-this-weekend kind of tan ! If you apply it correctly, you don't get stains! Really amazing product ! I would even advise this product to people who want to try self tanning for the first time. 3/ when you're all done, ways your hands with soap and hot water. Seeing all of this... can't wait for summer to begin. I really like the packaging. Wonder if it smells as good as it looks.